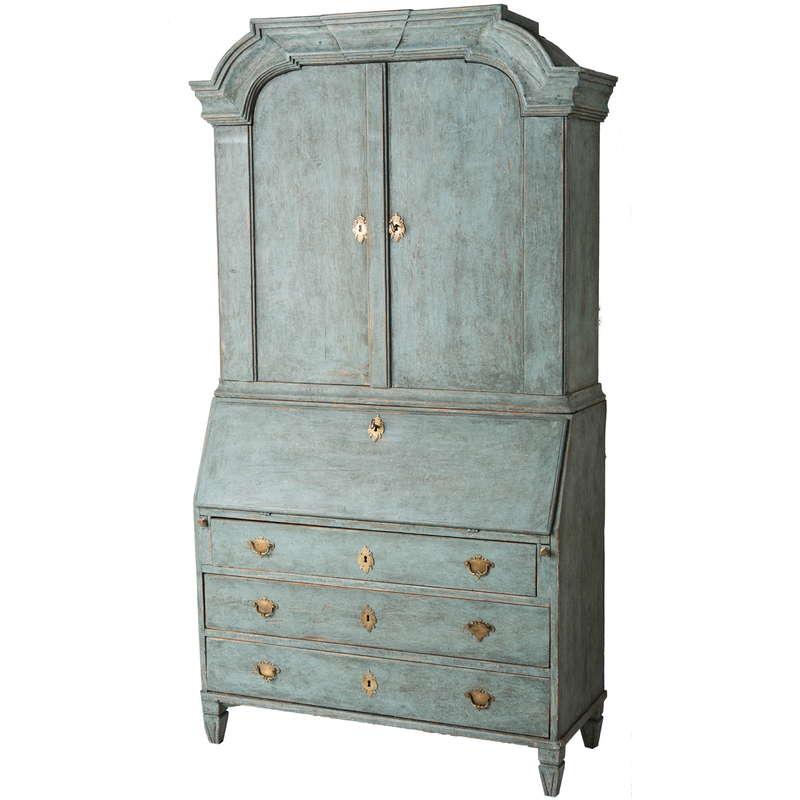 This two part Rococo secretary dates to the late 18th century, and is a transitional piece with a top cornice of Rococo design and feet that reflect the Gustavian style. 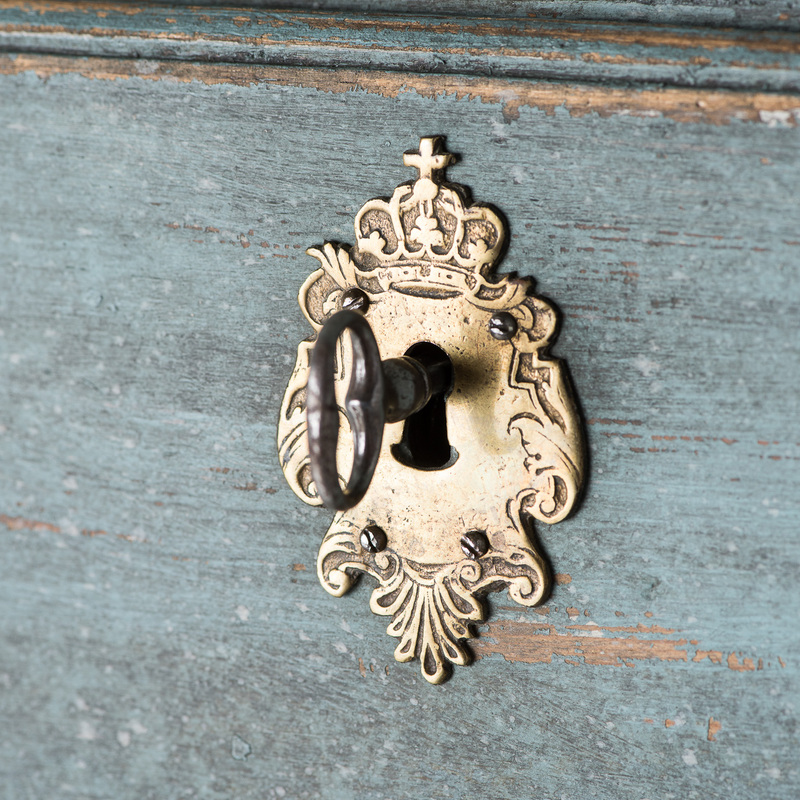 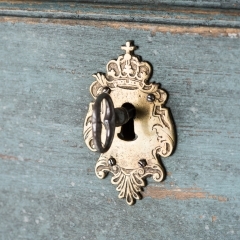 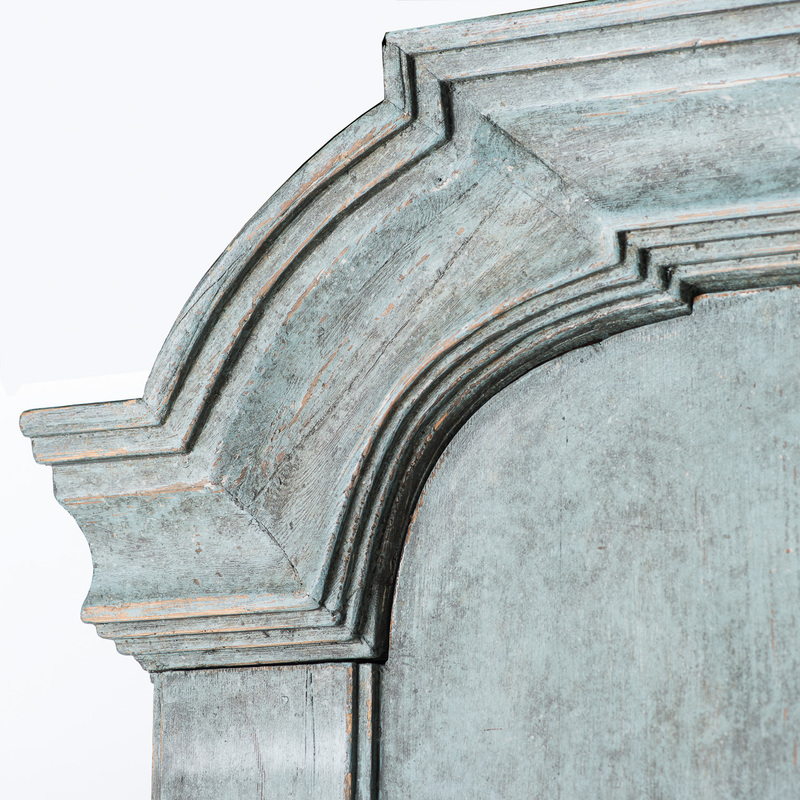 The early hardware features escutcheons topped with a crown and cross, and drawer pulls with a fleur de lis motif, adding desirability. 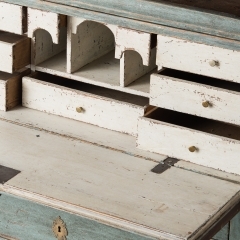 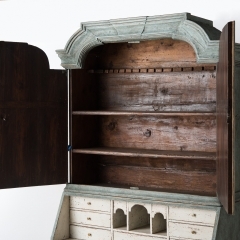 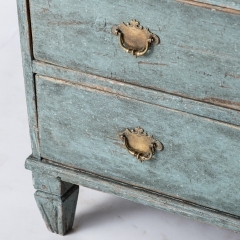 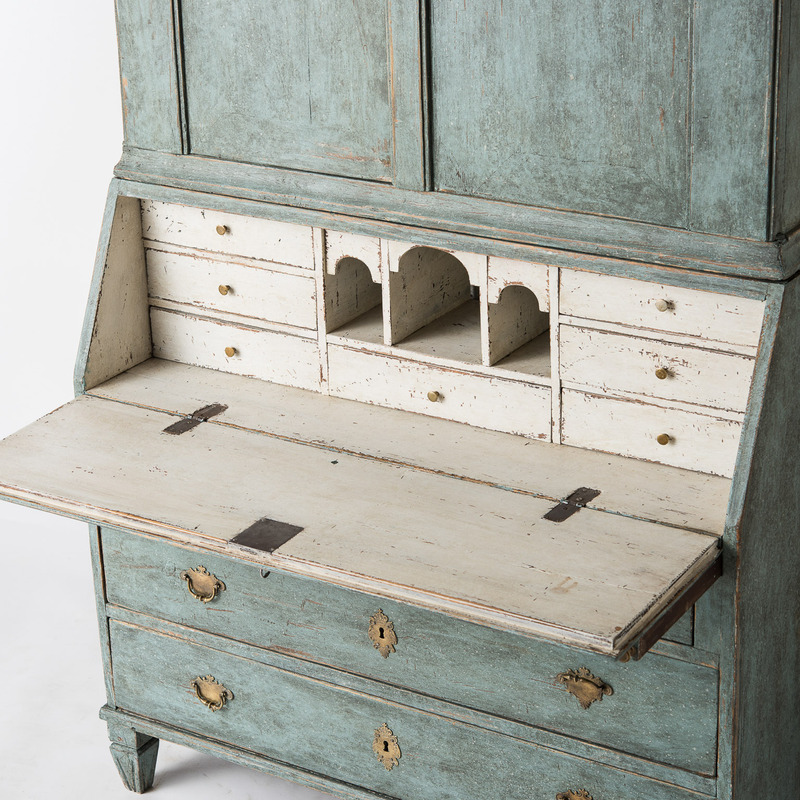 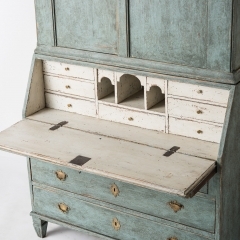 The exterior is a soft green with touches of blue, and the interior, with many interesting drawers, is in an old white paint.